I’ve watched too many faith-based films over the past two years. It was curiosity more than anything else. The sudden glut of like-minded stories peaked my insurmountable drive to understand why and how it happened. Looking first to the past, I learned that church-supported “Christian” films had been around since the early 30’s (not to be confused with religious biblical films that started in 1908), but faith-based films launched in 2006 and was immediately embraced and sustained by millions of home schoolers. Studios got behind the new films, after fledgling around with previous breakout Christian films. Hollywood didn’t know how to promote the films nor did they know how to build the ideal audiences; so faith-based films that arrived complete with audiences intact or with church based promotional campaigns were welcomed. Studios finally got a handle on the faith-based market when they realized the similarities between all of the faith-based films. These were the same similarities that made genres and sub-genres what they are today. By simply labeling faith-based films a genre, the studios got control over what was once elusive. Unfortunately that meant audiences would suddenly focus on what made faith-based films faith-based, which was mostly the story’s weaknesses. The good news is that redemptive stories were never tossed into the mix, although many Christians tried to convince others that redemptive films were also faith-based. The biggest arguments surrounding the claims were in connection with two high profile redemptive stories: The Blind Side and Les Miserables. The faith-based market claimed The Blind Side as one of their own, even though director Tom Hooper specifically stated that it was not a faith-based film. 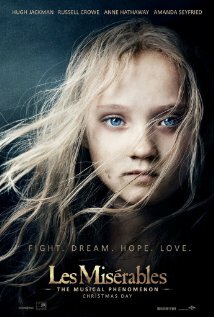 Les Miserables was rejected by the faith-based community due to the whore, drunkards, and other low life characters, even though the story was arguably the greatest redemptive story about faith, forgiveness and love within the past two decades. The weak, yet repetitive elements within faith-based films, the clear acceptance of non-faith-based films because of certain elements, and the rejection of overt redemptive films missing certain elements, made it clear that faith-based films were about a specific Evangelical culture, not the Bible’s theme of redemption. What made and didn’t make a faith-based genre became obvious to all film studios. It also helped clarify why some films made a lot of money at the box office, and why others flopped in general release or barely survived in limited release. When I read the list of elements making up the faith-based genre and saw it played out on screen over the past two years, I concluded that I’d never make a faith-based film. In fact, I’m not capable of putting into a story the things that make a film qualify as a faith-based film. This is probably a shock to some who know my penchant for redemptive stories. But those who are shocked are simply ignorant about what key elements make up faith-based films versus redemptive films. However, this can easily be clarified with a weekend marathon. I propose you watch three faith-based films back to back on Saturday, followed by three redemptive films on Sunday. The difference between the two genres should become obvious. For the faith-based films I recommend Facing the Giants, Left Behind (2014), and Soul Surfer. For the redemptive films I recommend The Blind Side, Les Miserables (2012), and Captain America: The Winter Soldier. My personal take away from each film was high, but not in the way you’d expect. I can, however, clearly state that I learned something valuable from each of the six films. Unfortunately, I’ve since forgotten what I’ve learned from the faith-based films and I still clearly remember what I learned from the redemptive films. After you surface from your weekend binge of films, you’ll be able to clearly understand why I’ll create redemptive and not faith-based stories. You’ll also be able to understand why I still remember the message from the redemptive stories and not the ones from the faith-based stories. Once you clearly see the difference between the genres, you’ll no longer be shocked that I won’t ever make a faith-based film. You might even get excited enough to cheer me on with making redemptive stories. A fascinating article. While I don’t have time to sit down this weekend and watch 6 films (3 faith-based, 3 redemptive), I have seen a good number of these films already and have learned some valuable things from them as well. However, I still remember Facing the Giants quite vividly (“whether we win or lose, we praise Him”), but I’m at a disadvantage from having not seen the other two you designate as faith-based. Left Behind (2014) was roundly criticized as being fairly empty of faith material, so is this one a fair title to include in your genre comparison? What I’m particularly curious about is this ongoing distinction. Are audiences divvying titles up like this? Or is it just us filmmakers and film critics and studios only doing this? Do we have to choose? Does it have to fit into one of these two categories? We want audiences to see our films, otherwise, there’s not a lot of point in making them. If there is a list of items that make a film fall on one side or other of these labels, that would be helpful. I think Christian bookstores kind of have their own standards they already apply (for instance, the kerfuffle when The Blind Side was rejected from being allowed on the shelves because of profanity in the movie). It’s a great discussion, and I look forward to moving into a place where we can tell excellent stories that exhibit faith AND redemption in ways that audiences relate to, rejoice in and reflect on long after the screen goes dark. CJ, do you think it’s possible to have a comedy that’s a redemptive movie? If so, any examples? Yes. Unfortunately, I don’t have a good example that comes to mind right now.